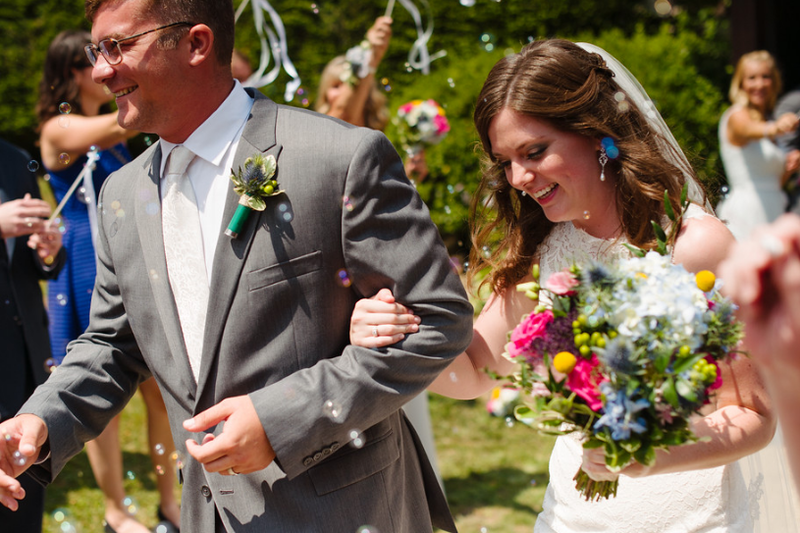 Anne and Levi could not have asked for better weather on their wedding day. There was plenty of sunshine and clear blue skies. 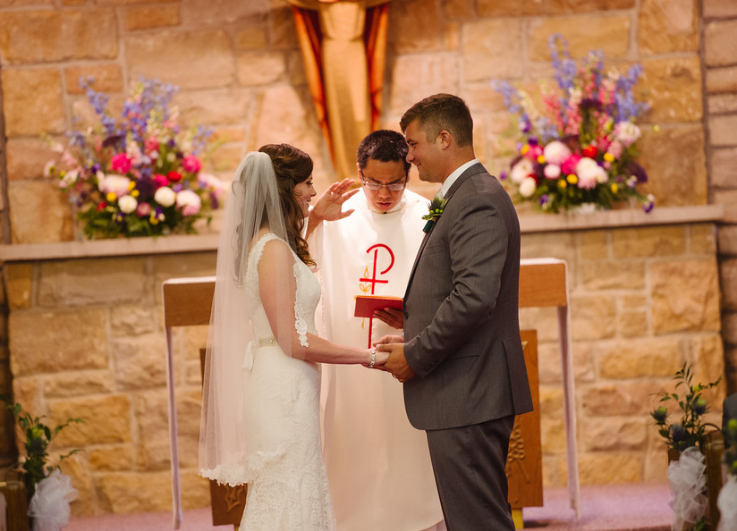 Their friends and family joined them to witness their marriage at the St. Raymond of the Mountains church. 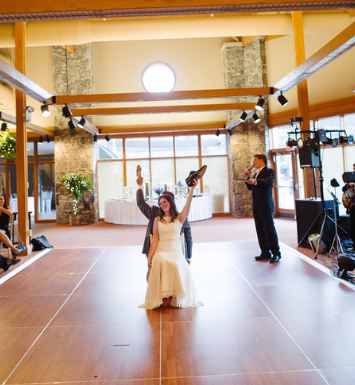 After the ceremony, their reception was held at the Seven Springs Resort in Pittsburgh. Guests were treated to cocktails, a four course dinner, great music, and lots of dancing! John Parker Band provided the entertainment for the evening. Everyone had a blast putting on their dancing shoes and listening to some energetic tunes! 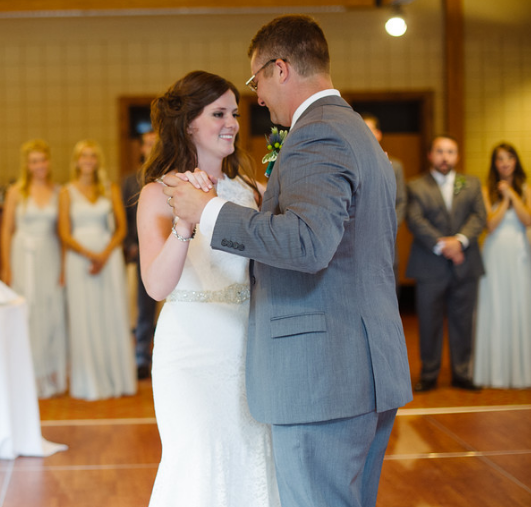 Michael Williams photographed the bride and groom throughout their special day. Michael was kind enough to allow us to use his beautiful photos for this post. We can’t thank him enough! Anne was a radiant bride. She styled her hair in soft ringlets, away from her face to show off that pretty smile! 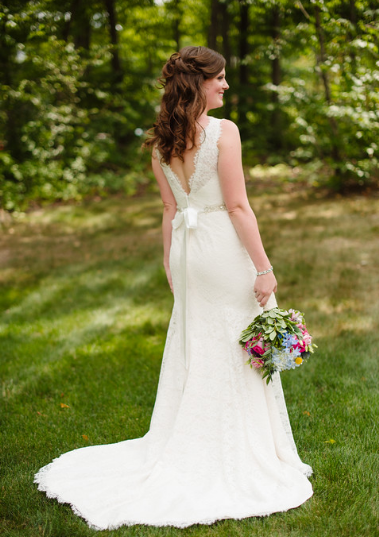 Her dress was timeless, sleeveless, and covered in lace. A sweet bow tied in the back and a small train completed her look. 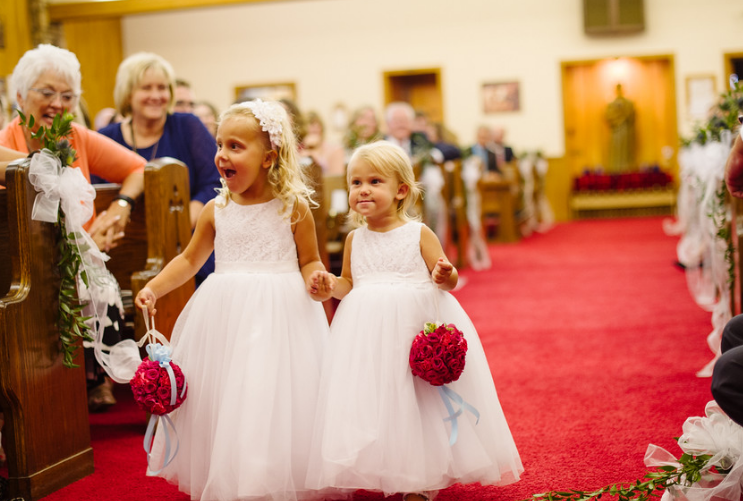 Two flower girls walked down the aisle carrying rose pom poms. How sweet are they? The aisle was lined with white bows and greenery. 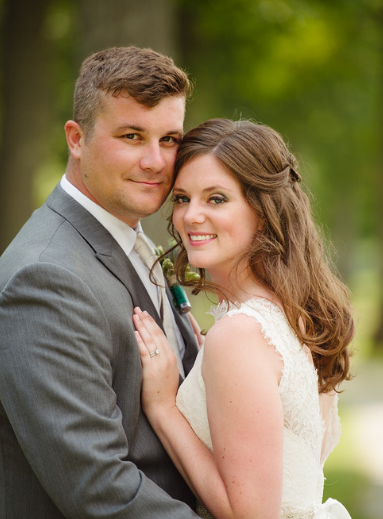 The couple exchanged their vows amid a stone altar and were showered with bubbles after the recessional. After that, it was time to party! 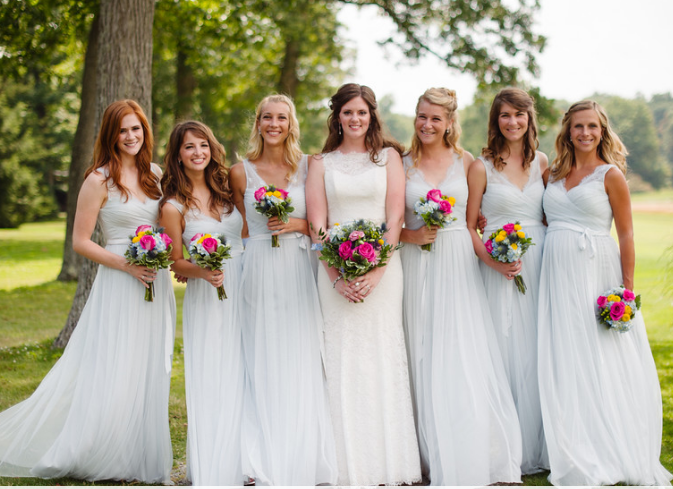 The bridal court were all decked out in the softest dresses. Perfect for an evening of dancing! And so pretty in a pale blue. 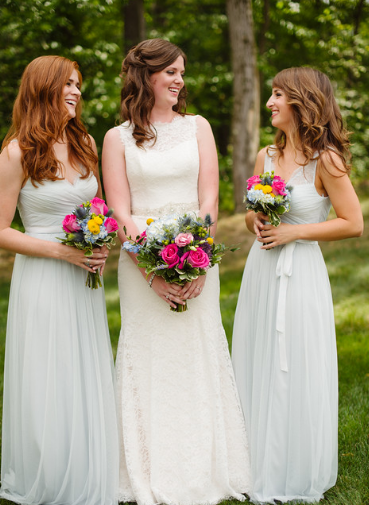 The girls also carried pink, blue, and yellow blooms. What a lovely group of ladies! The florals were done by Barron’s Florals. Most of the arrangements consisted of roses, hydrangeas, and other assorted wildflowers. 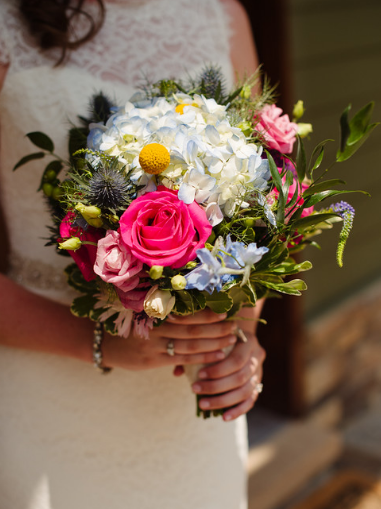 In fact, wildflowers were definitely the theme of the wedding, they could be found everywhere! 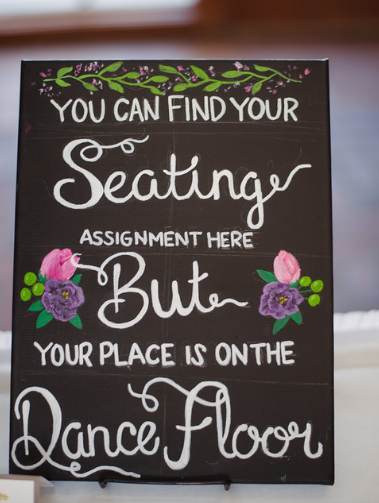 On handmade signs, place settings, and of course at each table. Every table was different and unique, with large and small blooms. 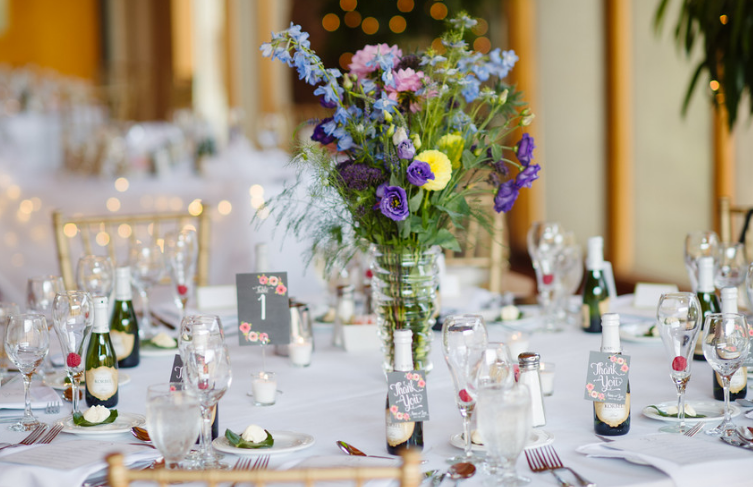 The table numbers resembled small chalkboards, as well as the “thank you” cards attached to bottles of champagne. So much thought was put in to the decor, we love it! The band was all set to make introductions and other special announcements, such as reminding guests to take plenty of photos with their phones and to use a special hashtag to celebrate the event. We can’t forget about the cake! 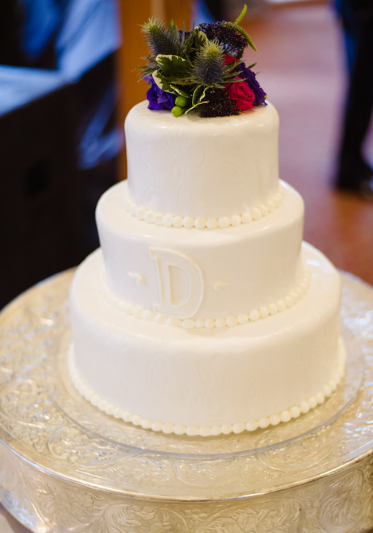 White buttercream with a simple piping, adorned with their new initial and flowers. What flavor do you think they picked? 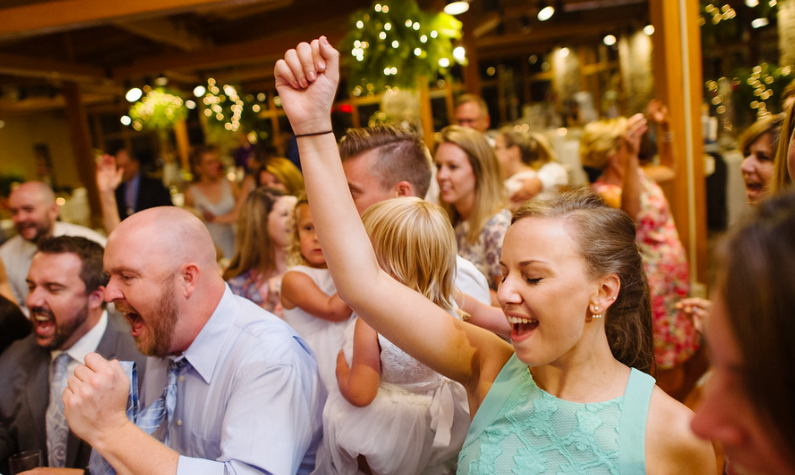 When it was time for the bride and groom to have their first dance as husband and wife, John Parker Band played “Better Place.” The bride also danced with her father to “My Wish” and the groom and his mother joined in to dance halfway through. More fun songs were played later in the evening, after a delicious formal dinner! 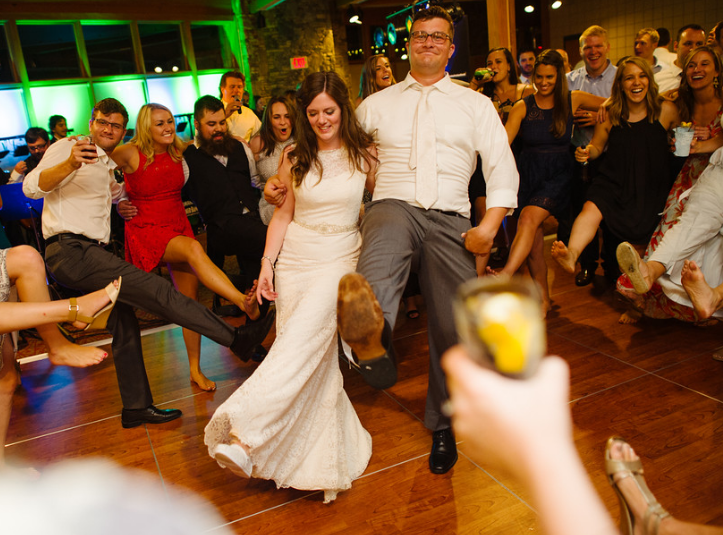 John Parker had the honor of hosting “the shoe game” for the bride and groom. 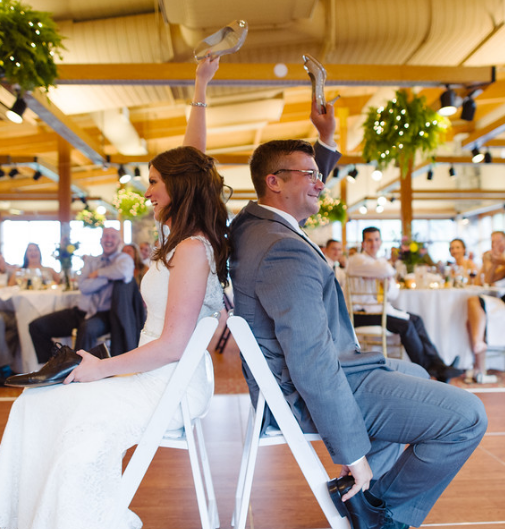 Two chairs were placed on the dance floor, back to back, and the couple gave one another one of their shoes. The couple raised up a shoe to answer questions about them, such as, “Who will control the TV remote?” What a great ice breaker- everyone was ready to have some fun now! 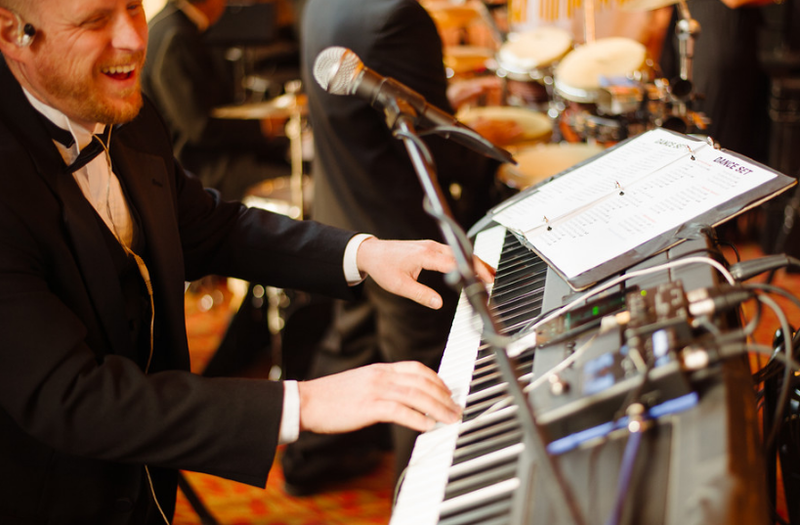 The bride and groom chose a mix of modern party hits and favorite oldies for the band to play. 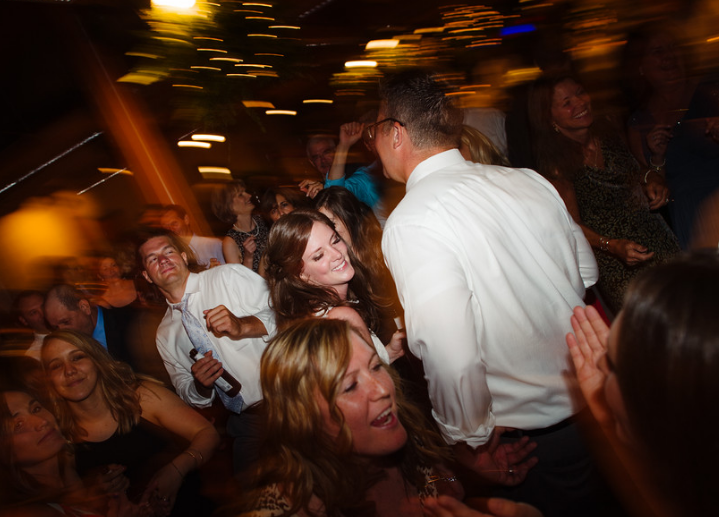 John Parker Band cranked out the music as guests headed to the dance floor. 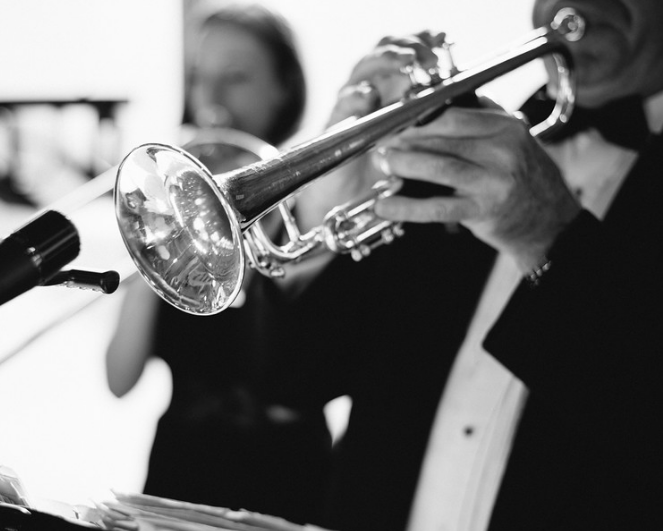 The band performed hits from Bruno Mars, Justin Timberlake, Earth Wind and Fire, and the Temptations, just to name a few. 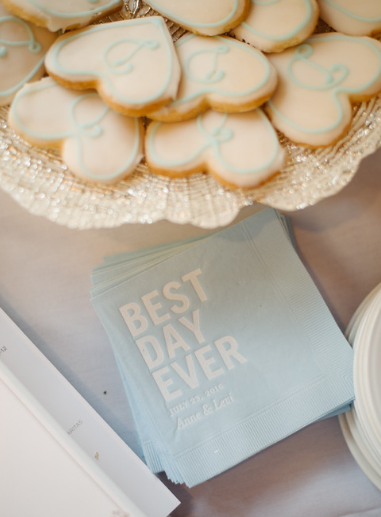 Everyone had the best time, grabbing drinks from the bar, busting a move on the dance floor, and indulging in the sweet treats and smore’s outside. The music blasted all night, there’s no doubt this was an amazing party! We are so grateful to Michael Williams for sharing his gallery with us to put together this post. 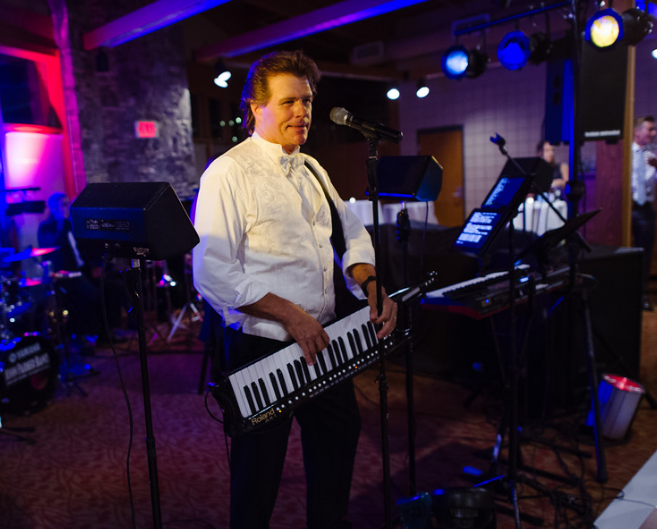 John Parker Band was thrilled to be a part of Anne and Levi’s wedding day. The evening went off without a hitch and everyone had such a good time! We hope you’ve enjoyed reading and look forward to speaking with YOU about your special day or event. 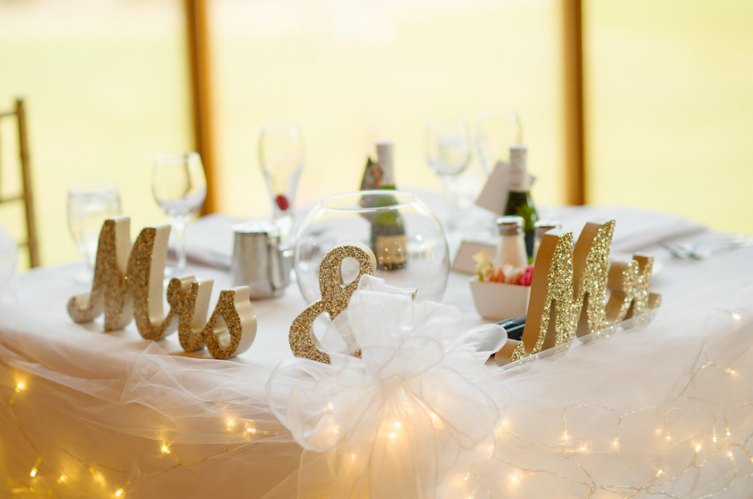 Contact us today so we can discuss how to make your wedding a memorable one!